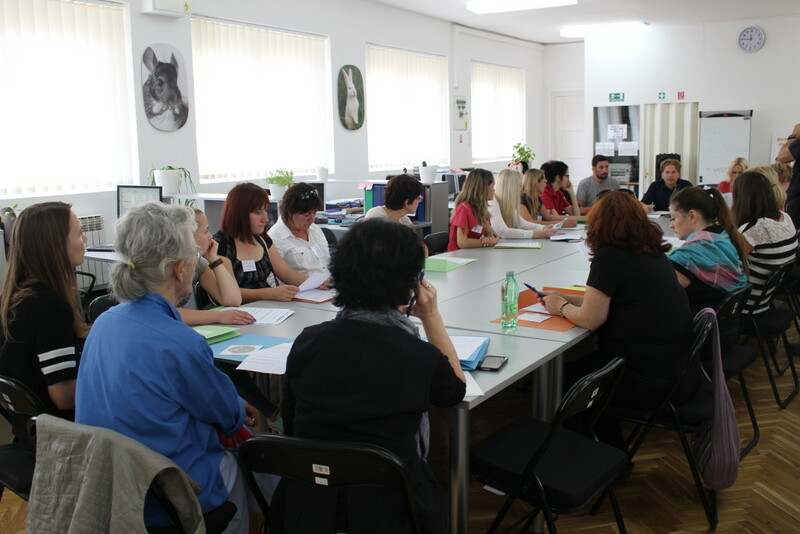 On Saturday, September 19, 2015, the 11th meeting of the Network against Animal Abandoning took place in the rooms of Animal Friends Croatia. 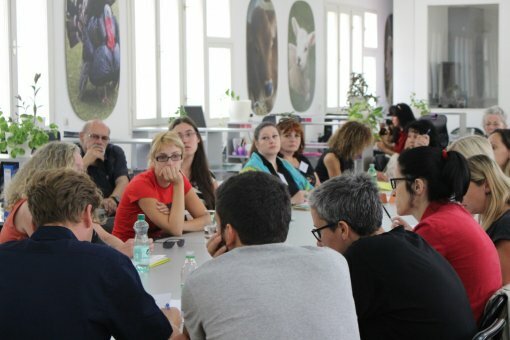 The participants included the representatives of Croatian animal protection associations and individuals interested in solving the problem of abandoned animals, as well as in other aspects of animal treatment in our country. We discussed the recent attempts at making the law more backward by proposing the introduction of bow-and-arrow hunting and lifting the ban from breeding animals for fur. We have also emphasized the importance of the proposal for changes and amendments of the Animal Protection Act, which is currently under revision, such as: prohibition of selling living animals intended for human consumption in shops; prohibition of using horses for transporting wood; prohibition of bullfighting and other staged animal fights; prohibition of keeping dogs permanently chained, etc. Considerable attention was paid to the debate on the prohibition of killing animals in shelters, the necessity of making all shelters non-profit, the authority of kill-shelters, and the need to change the law regarding the operation of animal shelters in general. Another issue mentioned at the meeting was the Law on the Conditions Required to Run a Pet Shop, which has still not been enacted, as well as the related problem of animal breeders, who should all be registered, regardless of the number of animals they breed. Speaking of breeding and selling animals, we also talked of the proposal to introduce a "Positive List" to the Law, which would include only those species which are allowed to keep as pets. A special topic was the violation of Animal Protection Act and the inefficiency of many other legal regulations, including poor control over the microchipping of dogs and the lack of a proper programme of spaying and neutering for cats and dogs. We have also mentioned the importance of the politicians' attitude towards animal welfare. Network Against Animal Abandoning is an Animal Friends' project aimed at providing a common platform for associations, individuals, and institutions involved in the prevention of animal abandoning and in their homing. It was founded in 2008 and counts over 50 animal welfare associations as members, as well as many individuals. Through Animal Friends Croatia, Network Against Animal Abandoning collaborates with the Veterinary Office and the Veterinary Inspection Office of the Ministry of Agriculture, Fishery and Rural Development, the City of Zagreb and other institutions of state, regional, and local administration. The Network is open for all associations, civil initiatives, shelter managers, and representatives of municipal and district administration, that is, for all those who want to contribute to the prevention of animal abandoning. It works on the education of its members, transmits useful information to members, and collects and sends proposals for amendments of laws and regulations to the relevant institutions. The Network's final goal is to achieve a complete end of animal abandoning and to raise the awareness and responsibility of citizens to such an extent that animal shelters will cease to exist. At this meeting, we have also brought up the issue of changing the name of the Network Against Animal Abandoning into Network for Animal Protection, since animal abandoning is, unfortunately, only one of the forms of betraying animals, a reflection of general human attitude towards animals, which must be improved as a whole. For the minutes from previous meetings of the Network Against Animal Abandoning, proposals of Animal Friends Croatia regarding changes and revisions of the Animal Protection Act, lists of veterinary inspectors, and other useful information, please visit our website: www.prijatelji-zivotinja.hr.